Do you love to take walks with your furry friend but hate having to struggle to find dog poop bags to clean up the mess? With a dog waste bag dispenser for leash, you are always able to have dog waste bag available on the leash. A perfect leash accessory to take with you on your walks, runs or hikes. Must have for all dog owners. Finally, a simple, versatile dispenser that makes lifer easier. 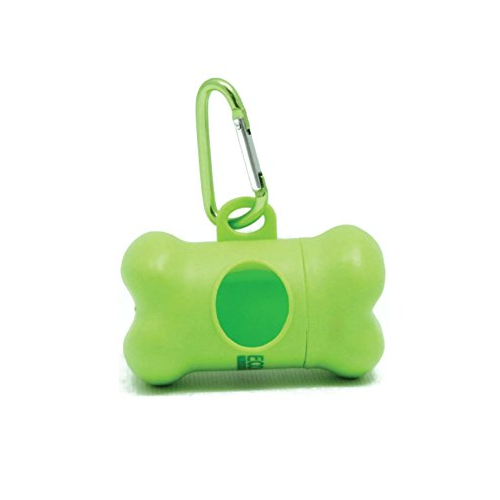 The Earth Rated® Green Dispense rfits all standard-sized rolls and comes with an adjustable strap that allows it to attach to any size leash. Its screw-on top keeps bags secured so you will not drop or lost them. Also features a unique hook on the back of the dispenser to hold the used bag for hands-free bag transport. Includes 1 roll of 15 lavender-scented bags. Looking for a compact and handy way to carry your dog waste bags? Look no further. 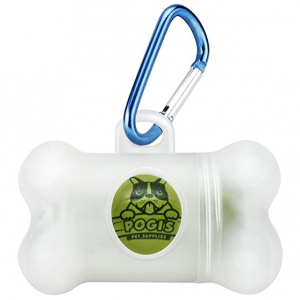 The Pogi’s Poop Bag Dispenser comes with metal carabiner clip that securely attaches to your leash or bag. This dispenser includes 1 Roll (15 Bags) which features EPI technology to allow the bags to break-down in as little as 18 months. The bags are extra large, leak-proof and thick to ensure there are no messes. With the fresh powder scent, you will forget about what’s inside the bag. 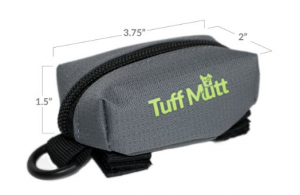 Dispense bags easily with Tuff Mutt – Dog Poop Bag Holder. This waste bag dispenser is great for pulling out bags one by one and will hold your poop bags tightly in place until you need to use another one. 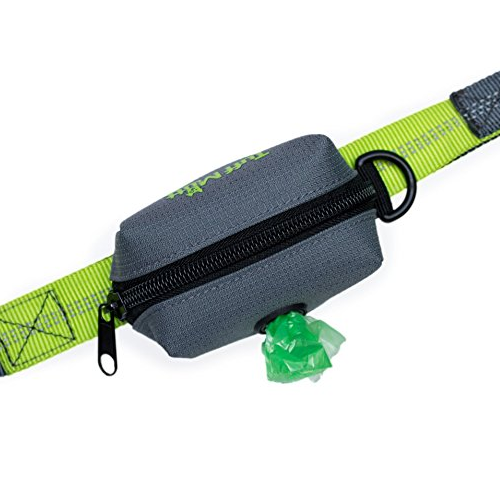 The durable velcro attachments simply attach the dispenser to any leash, harness, waist or running belt. Thanks to its slim lightweight profile, the bag holder is perfect for taking on your runs. Holds a standard roll of poop bags. 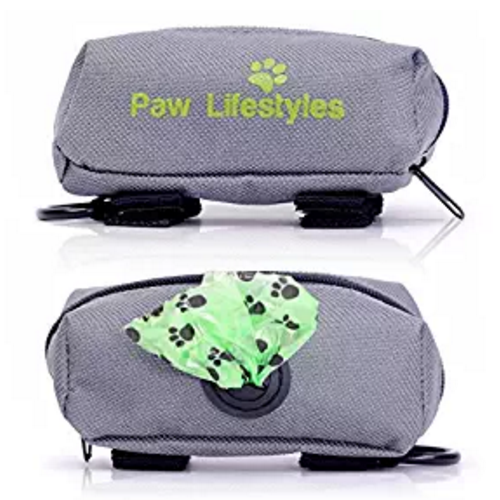 Now you can have access to your next dog waste bag with a simple pull with the Paw Lifestyles – Dog Poop Bag Dispenser. This lightweight and stylish holder stores 1 roll of standard bags and can also store cash, keys and more. It quickly and easily attaches securely around your leash, belt, or harness. Also comes with a convenient D-Ring for accessories. Perfect for your walks, runs, and hikes. 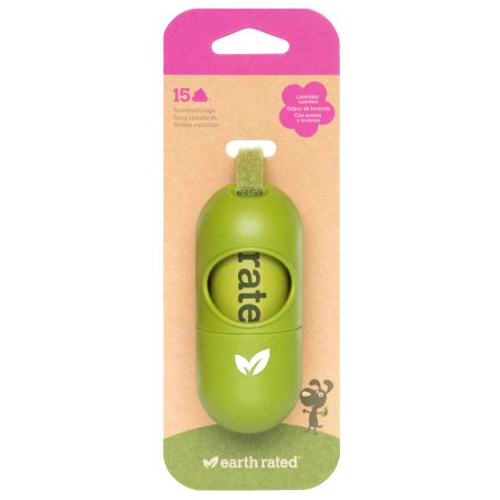 Made from high quality PP Plastic, the EcoJeannie Dog Poop Bag Dispenser is safe and contains no BPA. Its ergonomically designed shape allows for easy handling, opening, and closing when walk in the park. It comes with stainless steel carabiner that will fit most handles and leashes for added convenience. Fits most dog poop bag rolls. Easy to fill and easy to take the bags out, this dog waste bag dispenser is an essential for any dog owner.